Summary: How can someone be tricked and trapped by the devil unaware? How can you be triumphant when temptation comes calling? And the servant of the Lord must not strive; but be gentle unto all men, apt to teach, patient, in meekness instructing those that oppose themselves; if God peradventure will give them repentance to the acknowledging of the truth; and that they may recover themselves out of the snare of the devil, who are taken captive by him at his will. There’s some powerful instruction here for God’s people. But my attention was caught by what these verses say about those who “oppose themselves”—or said another way, “shoot themselves in the foot”—with God. In some way, these individuals who oppose themselves are not “acknowledging the truth,” but rather, have placed themselves in a position to be ensnared by the devil—taken captive by him at his will! Very few people would knowingly choose to serve an enemy who is out to destroy them. So, the devil must be working in such a manner that people are taken captive by him unawares. And get this—Scripture tells us that he’s going to be very successful at tricking and trapping the majority of people, regardless of their religious or ethnic background. Except for a small remnant of Christian believers, the whole world is going to be led to worship the devil at their own destruction (Revelation 13:2-4,8,12; 16:13-14; 20:15). For there shall arise false Christs, and false prophets, and shall shew great signs and wonders; insomuch that, if it were possible, they shall deceive the very elect. Is it possible for any of the elect to be deceived? In order for “some” to “depart from the faith,” they have to be a part of it! And why do they depart? They give heed to seducing spirits and teachings of devils . . .
Because thou sayest, I am rich, and increased with goods, and have need of nothing; and knowest not that thou art wretched, and miserable, and poor, and blind, and naked: I counsel thee to buy of me gold tried in the fire, that thou mayest be rich; and white raiment, that thou mayest be clothed, and that the shame of thy nakedness do not appear; and anoint thine eyes with eyesalve, that thou mayest see (emphasis added). Those who have had great light and precious privileges, but have not improved them, will, under one pretext or another, go out from us. Not having received the love of the truth, they will be taken in the delusions of the enemy; they will give heed to seducing spirits and doctrines of devils, and will depart from the faith (vol. 6: 300). Satan is unable to compel anyone to sin. But while Satan can solicit, he cannot compel to sin (125). It is not in the power of Satan to force anyone to sin. Sin is the sinner’s individual act (December 18, 1893). The devil cannot force anyone to sin? He’s only allowed to tempt us! And when he tempts us, God is faithful to provide a way of escape, so that we may be able to bear it—that is, stay faithful to the will of God regardless of the temptation. Praise the Lord! Temptation is not the same as sin. Temptation is not sin, and is no indication that God is displeased with us. The Lord suffers us to be tempted, but he measures every temptation, and apportions it according to our power to resist and overcome evil (December 18, 1893). Being tempted does not mean I have sinned. Hebrews 4:15 tells us that our loving Saviour “was in all points tempted like as we are, yet without sin.” It is added comfort to know that when I am tempted, if I by faith choose the way of escape our Lord provides, His grace empowers me to endure temptation (James 1:12). I do not have to stay stuck under sin’s thumb, but can resist temptation with God’s help. Let no man say when he is tempted, I am tempted of God: for God cannot be tempted with evil, neither tempteth he any man: But every man is tempted, when he is drawn away of his own lust, and enticed. Then when lust hath conceived, it bringeth forth sin: and sin, when it is finished, bringeth forth death. Notice how we are tempted. We are drawn away and enticed. When a person is enticed, has sin happened yet? No. Sin is born when lust is allowed to conceive. Ye have heard that it was said by them of old time, Thou shalt not commit adultery: But I say unto you, That whosoever looketh on a woman to lust after her hath committed adultery with her already in his heart. Did you catch where lust is conceived? In the heart! In the mind! And when is it conceived? A man sins—even commits adultery—when he cherishes that thought of lust in his heart. We read in Spirit of Prophecy, “. . . those who cherish lascivious (lustful) thoughts are as guilty at heart as the shameless violators of the seventh commandment” (vol. 2: 222, emphases added). When Satan plants a sinful thought into a person’s heart, and that person chooses to cherish and ruminate on it, Satan has taken this person captive unawares, just like 2 Timothy 2:26 states. Satan has worked this way throughout history and will continue his evil craft until Christ’s return (Revelation 12:12,17). If Satan can subtly lead a person to cherish and ruminate on any sinful idea, he has taken that person captive at his will. How can we protect ourselves from getting tricked and trapped into captivity by the enemy? Diligently and daily study God’s Word, praying to know Him better. This practice will help you determine the origin of the ideas that come into your mind—whether they are from the Lord or the enemy (2 Timothy 2:15; John 8:31-32; Acts 17:11, Prov 4:20-23). It is a law both of the intellectual and the spiritual nature that by beholding we become changed. The mind gradually adapts itself to the subjects upon which it is allowed to dwell. It becomes assimilated to that which it is accustomed to love and reverence (p. 555). Examine your current thinking about life situations in the light of Christ’s words. This is the only way to know if you’re letting Christ and His thoughts direct your life, or if you’re trying to do things your own way (2 Corinthians 13:5; Philippians 2:5). In one way only can a true knowledge of self be obtained. We must behold Christ. It is ignorance of Him that makes men so uplifted in their own righteousness. When we contemplate His purity and excellence, we shall see our own weakness and poverty and defects as they really are (159). Apply to your life what the Lord is teaching you from your time with Him (James 1:22). Desire of Ages clearly states, “Whoever will prayerfully study the Bible, desiring to know the truth, that he may obey it, will receive divine enlightenment. 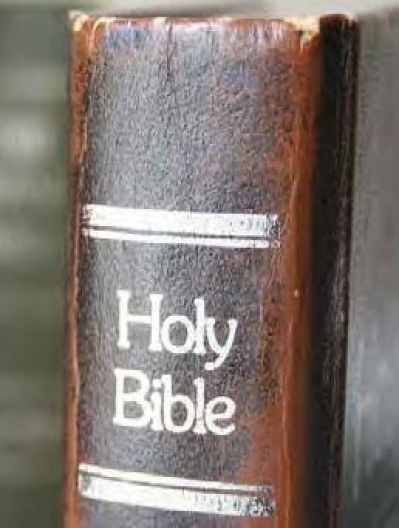 He will understand the Scriptures.” (p. 459). Earnestly pursue a knowledgeable love relationship with Jesus. Without being thoroughly convinced that Jesus loves you with an everlasting love, staying faithful to God’s Word under the pressures of persecution is impossible (Matthew 13:20-21; Mark 4:16-17; Luke 8:13). Christ tells us in John 14:23-24, “If a man love Me, he will keep My words: and My Father will love him, and We will come unto him, and make Our abode with him. He that loveth Me not keepeth not My sayings” (emphases added). What a delight to choose, by faith in Christ, to remain in a position where He can develop His loving faithfulness in my heart! What freedom to experience more and more of His empowering grace that overcomes Satan’s every attack, however subtle! What peace to be covered by the blood of the Lamb, to have nothing but His Word as my testimony, and love for the Saviour that transcends love for my own life (Revelation 12:11). I want to be able to unflinchingly say like the apostle Paul in 2 Timothy 1:12, “for the which cause I also suffer these things: nevertheless I am not ashamed: for I know whom I have believed, and am persuaded that he is able to keep that which I have committed unto him against that day.” How about you? Christ lived and died so we would not have to remain tricked and trapped, but rather, treasured and triumphant! Now thanks be unto God, which always causeth us to triumph in Christ, and maketh manifest the savour of his knowledge by us in every place (2 Corinthians 2:14).